Among Jang’s best-known works is “The Chinese American Symphony,” which honors the Chinese immigrant laborers who built the first transcontinental railroad in the United States. This composition is the first symphonic work by an American-born Chinese composer to honor Chinese American history. Other epic works include “Tiananmen!”; “Reparations Now! Concerto for Taiko”; and co-composed with UCLA distinguished professor of ethnomusicology James Newton, “When Sorrow Turns to Joy – Songlines: The Spiritual Tributary of Paul Robeson and Mei Lanfang,” which was commissioned by UC Berkeley’s Cal Performances. 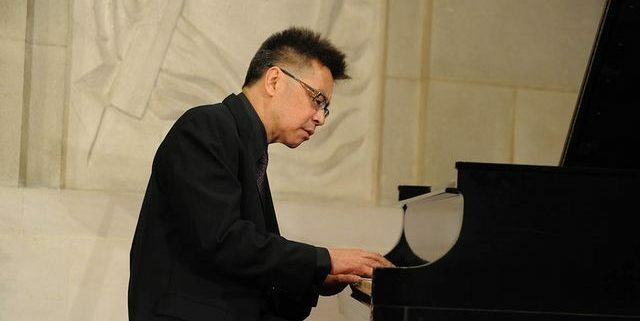 During the course of his residency, Jang will perform as a member of his quintet, the Jon Jangtet, and he will present a solo piano and storytelling performance at the Fowler Museum at UCLA. Jang also reunites with Renee Tajima-Peña, UCLA professor of Asian American studies, for a conversation following the screening of “My America (or honk if you love Buddha),” directed by Tajima-Peña with his original score. A lecture and ensemble coaching will round out the week’s events. 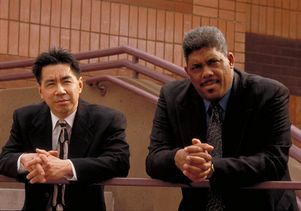 Program co-presenters include the UCLA Asian American Studies Center, the UCLA Department of Asian American Studies and Center for EthnoCommunications, as well as Friends of Jazz at UCLA, a support group of the UCLA Herb Alpert School of Music. All programs are open to the public. For more details, please see individual event listings or go to the school of music calendar. Jan. 16: An award-winner at the Sundance Film Festival, “My America (or honk if you love Buddha)” is an Asian American road odyssey set amidst a subculture of old school rappers, debutantes and freedom fighters. Twenty years after the film’s premiere, composer Jon Jang and writer-director Renee Tajima-Peña will reunite for a screening and conversation, with ethnomusicologist Kim Nguyen Tran, to discuss the hybrid cultural influences of the film and its music. 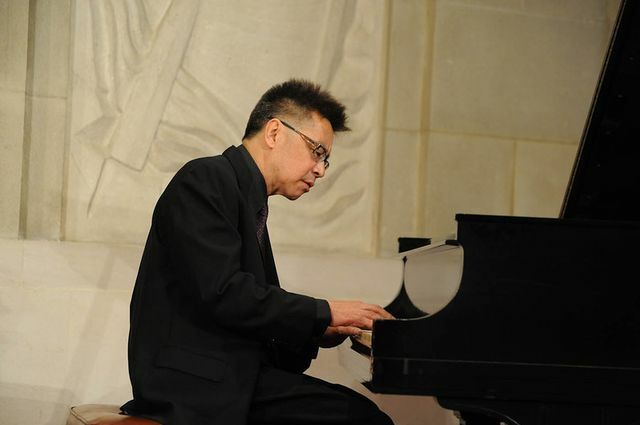 Jan. 17: “Making Chinese Music American and Black Music of Resistance: The Jon Jangtet in Concert” program features music inspired by the black continuum of resistance: from the Black Liberation Movement of the 1960s to Black Lives Matter in the present. Works that feature Jang’s unique American-born Chinese treatment of Chinese music are also on the program. With Hitomi Oba, soprano and tenor saxophones; Nick DePinna, trombone; Trevor Ware, double bass; Miles Senzaki, multiple percussion. Jan. 18: During the lecture “Traditions in Transformation: The Musical Language of Jon Jang Composer,” Jang will explore heterogeneity in music as seen through the lens of his works that are hybrids of Chinese folk songs, black music and European classical music. Jan. 18: In commemoration of the 30th anniversary of the Civil Liberties Act and the victory by Japanese Americans for redress and reparations, UCLA lecturer Hitomi Oba’s contemporary jazz ensemble will interpret Jang’s work “Reparations Now! Concerto for Large Music Ensemble and Taiko” in a session of ensemble coaching. Jan. 20: At the Fowler Museum: “How I Got into Music and How Music Got into Me: A Piano Performance and Storytelling by Jon Jang.” From practicing on a piano in a black church to prepare for his senior recital to the black church congregation attending his concert at the Oberlin Conservatory of Music during the 1970s, Jang performs a solo piano performance and talks about how he got into music and how music got into him. Saxophonist Hitomi Oba will join Jang in the second half of the program.